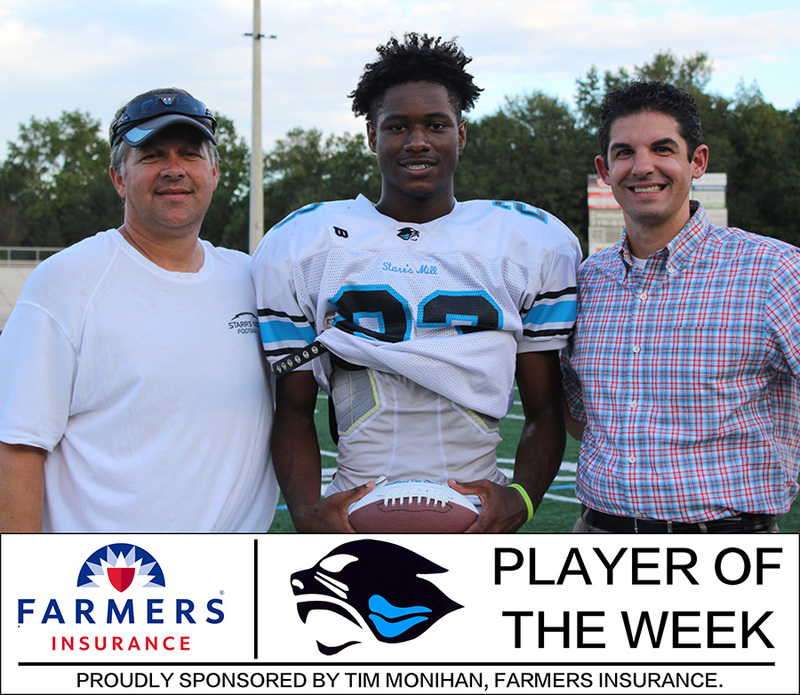 Tim Monihan and Farmers Insurance have presented senior running back Jalen Lazenby with the eighth Player of the Week award for the 2018-2019 school year. In last week’s win over Jonesboro, Lazenby had a 3-yard touchdown run and a 57-yard kickoff return. On the season, Lazenby has carried the ball four times for 24 total yards and added one reception for 14 yards. “I need to work harder in the weight room and in practice,” Lazenby said. Lazenby and the the Mill travel to Griffin tonight looking to stay undefeated in the region and avenge last season’s 29-28 loss. The game begins at 7:30 p.m. in Griffin Memorial Stadium.